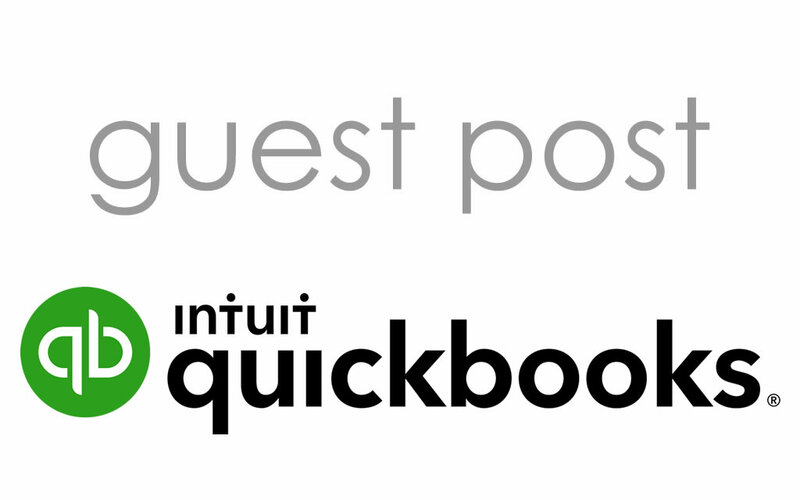 Continuing our Making Tax Digital series, this guest post from QuickBooks considers MTD in the context of the broader trend towards digital and cloud-based accountancy solutions. Nearly three and a half million enterprises use QuickBooks as the basis for their accounting, and as a global brand it offers a valuable insight into the latest business trends. Its prediction is that nearly 80% of all SMEs will be using cloud-based accounting by 2020. This would clearly represent a significant change and, as such, some firms will probably approach it with a certain amount of fear or scepticism. However, its benefits are increasingly being recognised – not least its potential to ease the transition to quarterly online tax reporting. Here’s what QuickBooks has to say. You won’t find too many arguments amongst accountants that technology has disrupted the industry. “Going digital” is now the norm – but what will the key drivers of change be in 2019? Here, we look at the top three trends that are changing business accounting. Great technology is certainly helping businesses to become more competitive. Now, more than ever, businesses need to be able to innovate quickly by embracing new products and by digitising their processes. Part of the challenge for firms is ensuring that they choose the right tools for the job. Should firms be worried about the rapid change that tech brings, or should they embrace it? There is a fear among some firms about embracing the changes; they want to carry on working the way they always have. What we see is that firms who are embracing technological changes have managed to become more efficient, profitable and forward-thinking in their growth strategies. Making the change is not always easy and, at QuickBooks, we appreciate that it comes with challenges. The most common challenge we see is the change in mindset amongst companies that have previously kept manual records, or used Excel or traditional desktop software. There can be a scepticism about changing to an online solution because it brings about a different way of working. Processes need to be changed to maximise time efficiencies and to make a successful transition to the cloud. To assist with this, we have run process workshops which empower staff to create their own new working processes, making them part of the journey, and assist in gaining a better understanding of the technologies’ benefits. For accountants themselves, product training is also important; regardless of the cloud software a firm is using, we advise that all users within a practice have suitable accreditation and a good understanding of how the programme works in order to best advise their clients. A key element of moving to the cloud is ensuring you have a strong plan in place, with key drivers within the firm. This will make sure that individuals are held accountable and that the project keeps moving, even through a firm’s busy periods. Once firms have a plan in place, we have supported them through the journey and seen end-to-end efficiency gains of up to 65% on current work through the real-time collection of data using bank feeds and other apps. Conditioned by the experience of real-time taxi-hailing from our sofas, one-click shopping, and banking on the go, consumers have come to expect instant digital gratification. Software providers like QuickBooks recognise that client expectations are higher. From tracking their expenses, to managing multiple bank accounts, to calculating VAT – they are looking for one-stop-shops. And bonus points if you can deliver a personalised experience. Is a good software system/app a game-changer for businesses in delivering fantastic service? Technology has been rapidly changing in all industries, and customers now recognise that apps and online software can enhance both their business and personal lives. Using online software and apps means that businesses that would usually put off any accountancy until weekends / evenings (or even once a year prior to submitting records to an accountant) now have the ability to raise invoices and track their profitability on the go. There is no more losing receipts or forgetting to bill for goods purchased on behalf of a customer; all of these can be handled in real-time on a phone. The ability to link bank accounts means the customer can see exactly who has paid, and they can get paid quicker, improving cashflow. Using apps, customers can fully customise their end-to-end business solution to fulfil business requirements such as payment portals, credit control, OCR receipt capture, mileage tracking, stock control etc. No matter what system they are using, they no longer have to pay for support or old CD versions of desktop software to upgrade when new features become available. Everything is updated within a cloud licence and customers will always be sure of using the most recent version. Intuit predicts that 78% of small businesses will rely on cloud accounting by 2020. Tech savvy accountants and bookkeepers are already aware of the efficiency of cloud accounting, but how can it better serve ordinary businesses? With 78% of businesses predicted to be using cloud software, is there a danger in being left behind the tech curve if you don’t adopt now? Accounting firms now are embracing the cloud and, working closely with them, we are seeing how it can help to reduce work in progress and free more time to work proactively with clients. However, there are important benefits to mainstream businesses, too. One of the biggest benefits to businesses making the move to the cloud is that it greatly facilitates compliance with the forthcoming requirements of Making Tax Digital. Having copies of records in the cloud and being able to submit data directly makes for much more time-efficient processes. ‘Online’ is very much the direction in which HMRC is driving the business of tax reporting, and cloud accounting is a tool that makes the transition considerably easier.